The BBC has uncovered evidence of organised cheating at primary schools run by the Silver Birch Academy Trust. A former head says pupils at one school were given answers in Sats exams, taken by 11-year-olds in England. Suzanne Barham has told BBC Panorama she was also ordered to change other test scores at three schools in 2017. The trust will close this week due to financial issues and Silver Birch says the current trustees cannot be held responsible for its earlier actions. Silver Birch said: "The schools are in the process of being successfully transferred as a group to another trust. "It is expected that the formal transfer will occur on 31 March 2019 and then the Silver Birch Academy Trust will be dissolved." Mrs Barham, the then head teacher at Longshaw Primary School in north-east London, which was part of Silver Birch, told Panorama: "We were told to go and work with specific children and to give them a little help. "That's what happened, those children were given answers. "You know it's not what should happen. You know it's the wrong thing, it's not going to help the children." 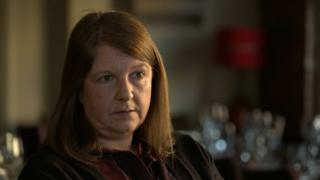 Mrs Barham says she was ordered to cheat by the trust's chief executive, Patricia Davies, and agreed to do it because she was afraid of losing her job. She says she was also ordered to cheat on a Sats reading exam. "Mrs Davies called me into her office, and it's a reading paper, so you can't read it to them, and she said, 'I want you to read it for them'. "I said, 'but it's a reading test.' She went, 'yes, I know'. "You did what Pat told you to do, otherwise, you knew you wouldn't have a job, and so I read that paper." Panorama has also spoken to parents at Longshaw, who complained about the cheating. Mum Kelly Brett was waiting at the school gate when the children came out talking about how they had been helped to pass the test. "The boys were quite vocal, as they thought it was funny, they thought it was hilarious: 'We cheated, we cheated, they let us cheat'. "They were skipping up the hill screaming it out." The Standards and Testing Agency investigated the cheating claims after parents complained and the results were allowed to stand. But they did not talk to the parents or pupils like Kelly's daughter Sophie. She has told Panorama that a teacher walked around in the exam giving out answers in her maths Sats exam. "She sort of walked past, looked at my test and she stopped and she just pointed at it and went, 'that's the answer' and told me the answer. I was so annoyed. I just looked at her like, 'what are you doing, this is a test'." Mrs Barham says other test scores at three schools run by Silver Birch were also falsified over a three-year period. "The data was exaggerated to inflate how the school was performing. They would say 'change that one, change that one'. "So, they would literally give me the sheet of paper that the actual results were on, and then they would cross them out and write next to it what they wanted me to put in." Mrs Davies resigned last October after Silver Birch was taken over by new trustees, who found that the trust was close to insolvency. She said she was unable to comment.